I have really enjoyed spending time with my family this summer. With school just around the corner, it is time for me to start thinking about the new school year. Do you use stamps in your classroom? My class LOVES stamps. My students always stay engaged when stamps are involved. I created these Interactive Stamp Books as a fun way to learn Beginning Sounds and Sight Words. The Beginning Sounds Stamp Book each have 6-8 different pictures per book. 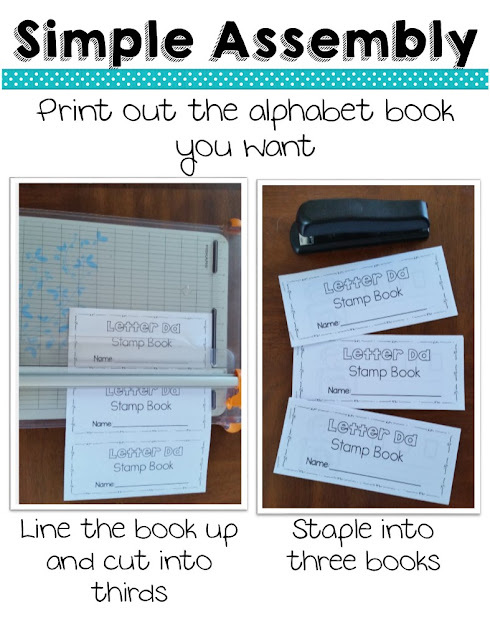 The Sight Word Stamp Books have all of the Pre-Primer and Primer Sight Word. The books are fairly simple to assemble. 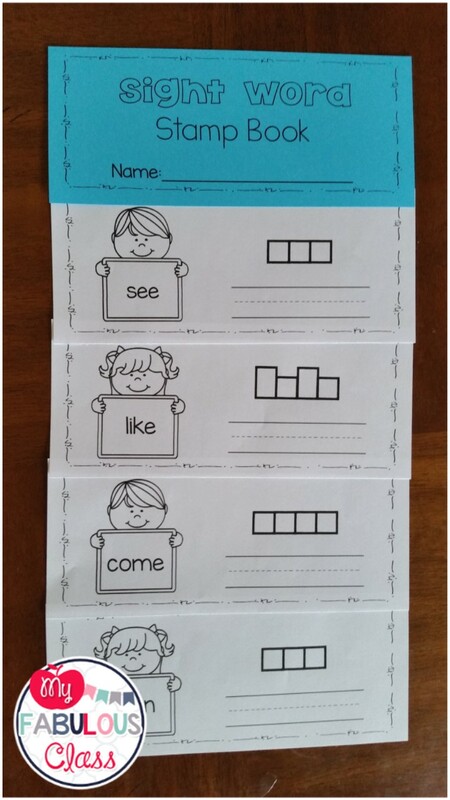 Print off the letters or sight words that you want to use. Cut into three.Then, staple into three separate books. To differentiate the sight word books, you can use different color covers. There are different ways to use the Sight Word Books. You can make one book with the same word to practice everyday. This is great when introducing students to new words. Or, you can put several words in the same book. This works best when students have been exposed to a word and just need additional practice. This post contains affiliate links, which means I receive compensation if you make a purchase using my link. I bought this stamp set off of Amazon. 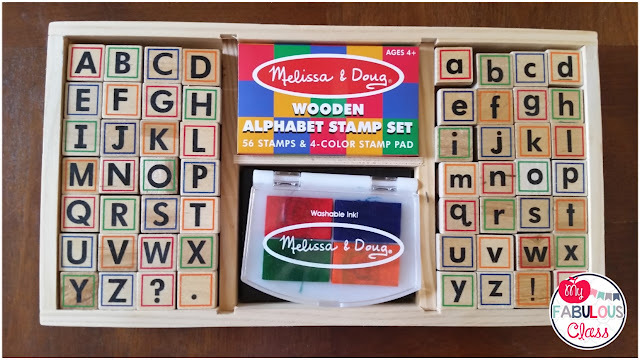 I picked it because the stamps are larger and it does not have the typewriter style lowercase a. I know kids need to learn the typewriter a, but it can be confusing at the beginning of the year for students who have to not been exposed to it before. 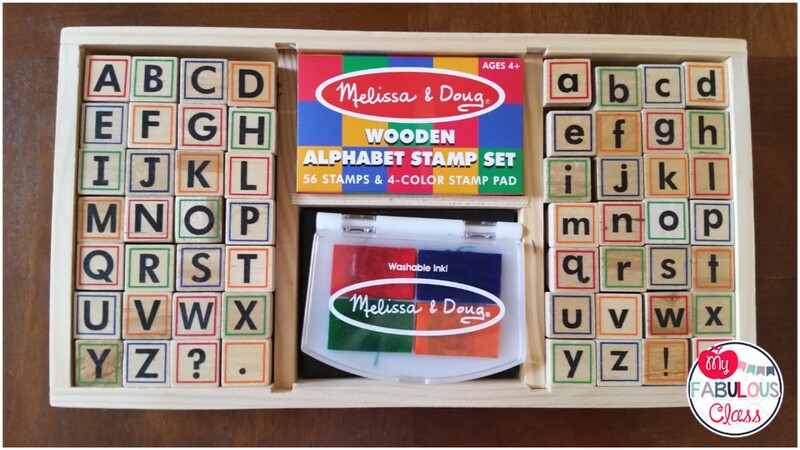 To Purchase this stamp set, click below.